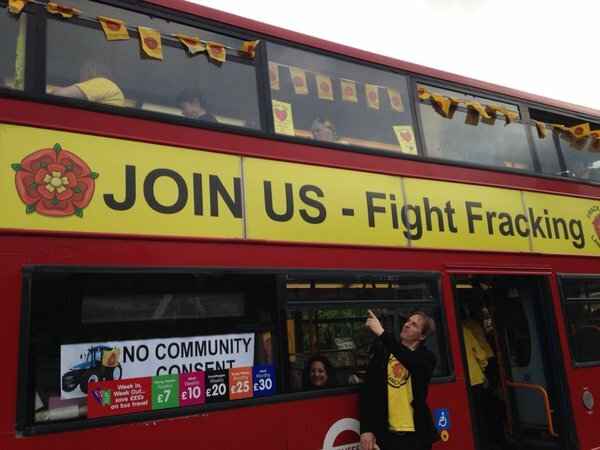 Uniting the Roses against fracking. 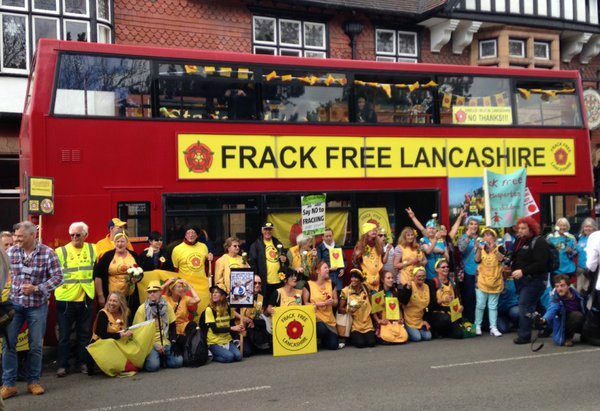 A great day was had by all on Friday 20th May taking the Frack Free Bus full of Lancashire people to Yorkshire to protest at the North Yorkshire County Council planning meeting to make a decision on Third Energy’s application to frack the KM8 well at Kirby Misperton, uniting the roses against fracking!!! The next trip on the Frack Free Bus will be to support the people of Woodburn Forest in Northern Ireland. Woodburn Forest near Carrickfergus in County Antrim has become the site of the first operational fracking rig on the island of Ireland. On Monday 16 May InfraStrata PLC began to drill, seeking to confirm a viable oil find which will pave the way for large scale extraction. Community campaigners continue to resist and all support is welcome on the site to stop the drilling while one local mounts a legal challenge. We need to show support where we can and this community needs as much support as it can get. It will be a heavily subsidised trip, and we are looking at dates. If you would like to take part in this event please respond asap. It will involve a 1 night stop over probably a Saturday which will be paid for also. Together we will stop this hideous threat to our lives. Please use the contact form here ASAP to register your interest if you would like to join us.